GreenCycle is a globally active waste management company, as well as a driver of innovation in the areas of recyclables, energy management and logistics solutions. From green waste to a valuable raw material: On the initiative of GreenCycle, TSG Hoffenheim now produces sustainable grass paper from the grass clippings in the PreZero Arena and makes autograph cards from it. PreZero and TSG Hoffenheim are breaking new ground together in environmental protection. TSG Managing Director Dr Peter Görlich and Dietmar Böhm, Managing Director of PreZero, outline their plans in an interview. Lidl's Saskia brand water bottles are made primarily from recycled materials. 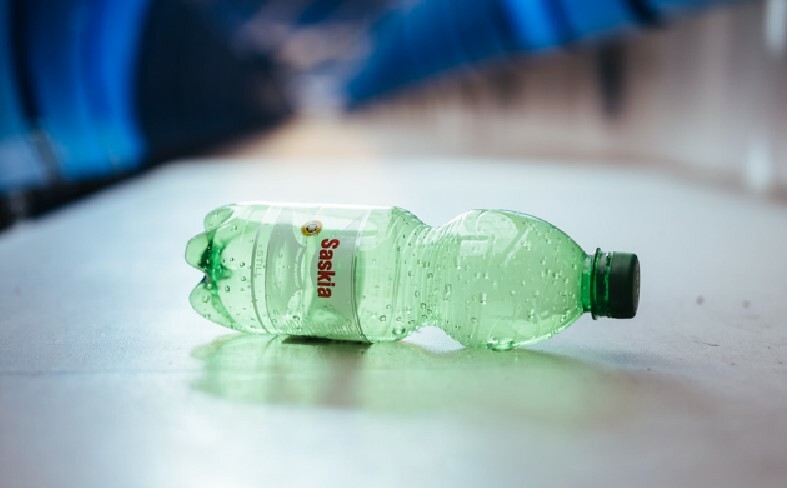 In order to reduce waste, the recyclable bottles are also used in the PreZero Arena. We strongly believe that waste is just recyclable materials in the wrong place. In everything we do, we are committed to a clean future in which efficient, closed loop materials cycles protect our environment and create sustainable value. Collect, sort and recycle: with PreZero, we have created the waste management company for a clean tomorrow. We analyse the material flows of companies and develop solutions to exploit waste as a resource to its full potential. GreenCycle's Energy and Environmental Innovations division develops practical ideas for energy transition and the careful use of our resources. The Heilbronn Half-Pallet, made of recyclable plastic, is a sustainable and cost-effective alternative to conventional wooden pallets. GreenCycle operates the pallet pool for the companies of the Schwarz Group. PreZero is GreenCycle's sales brand in the growing waste management, sorting and recycling market. The company has created the waste management platform PreZero.com to provide easy and efficient access to waste disposal and recycling services. GreenCycle arrived in the US in 2017. The company began operation with the acquisition of RMG Recycling in San Diego, California. Going forward, GreenCycle US looks to engage with companies via acquisition, joint ventures, and strategic partnerships with the goal of developing the recycling processes in the US. GreenCycle is represented in Asia with an office in Hong Kong. The company is gathering valuable information on the local waste management industry. From their research, GreenCycle Asia will derive solutions for the rapidly growing metropolises of the continent.